Make sure you follow the right maintenance car tips during the Fall. New Mexico has been feeling the hint of a chill in the air for the last month or so. We all know what that means: fall is here. The days are getting shorter, the wind is blowing just a bit cooler and it’s almost time for hot chocolate and marshmallows. Keeping your car maintenance up to date is a year-round thing. Much of the maintenance your car needs during the fall deals with preparing your car for the winter months. Your heater is working correctly. There’s nothing like waiting in the long lines during the winter to get your heater fixed. Make sure you’ve tested it a few times during the fall. Your wiper blades do not need replacing. When you’re driving through a winter snowstorm, you don’t want to have to worry about being able to see. 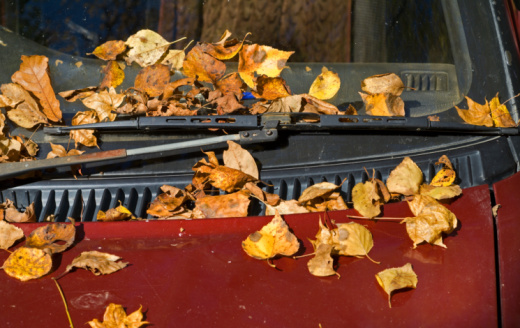 Check your wipers during the fall just to make sure. Your battery is clean and charged. Some mechanics say that the heat of the summer months drains your car battery. Double check this during the fall. Your brakes are not worn. Your brakes will be important in the winter snow and ice. Avoid slipping on ice by getting your brakes and rotors checked in the fall. Your tires have enough tread. Don’t wait until your tires are too bald to help you stop on the icy roads. Get them checked now. Keeping up with car maintenance year-round can help you save time and money during the rest of the year. Stay safe and buckle up!